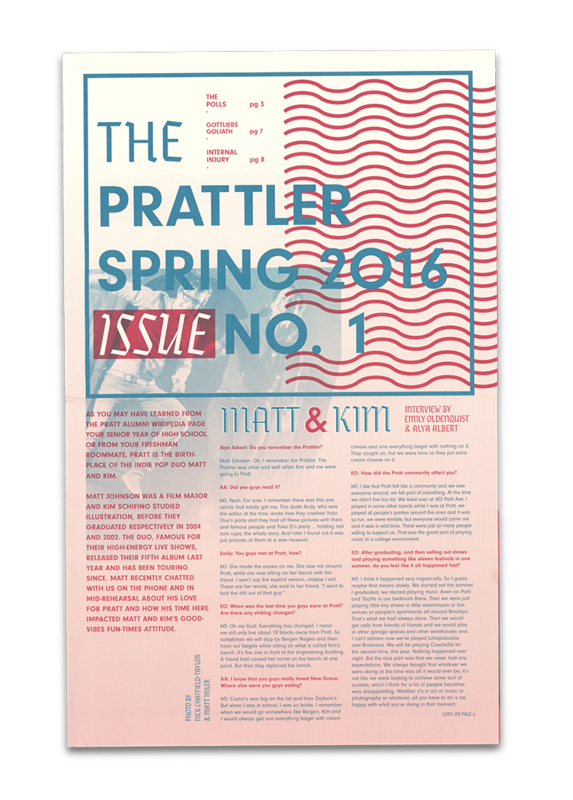 The Prattler is Pratt Institute's oldest publication that has evolved from the official school newspaper into the student voice publication that it is today. 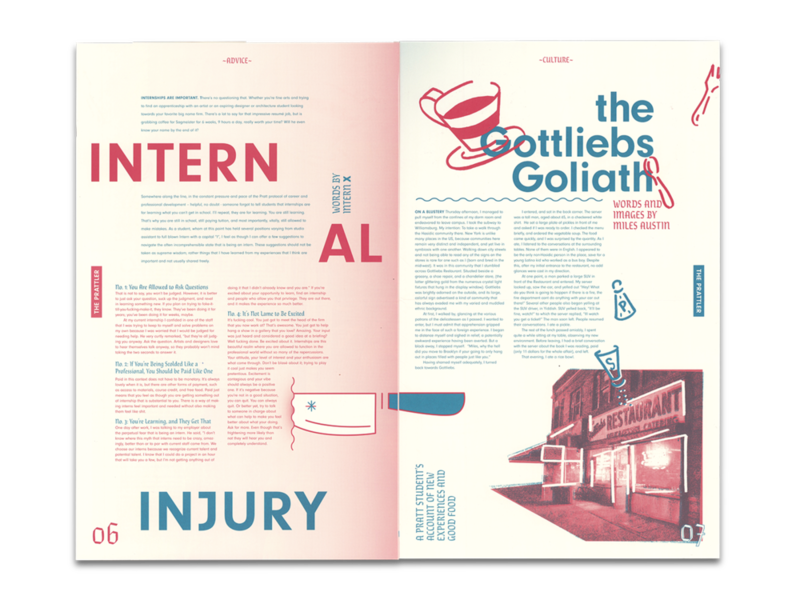 I have worked as an Art Director for the Prattler for 9 issues, along with Alison Lee, where we transformed the publication from a thematic zine back into the school's student voice newspaper. 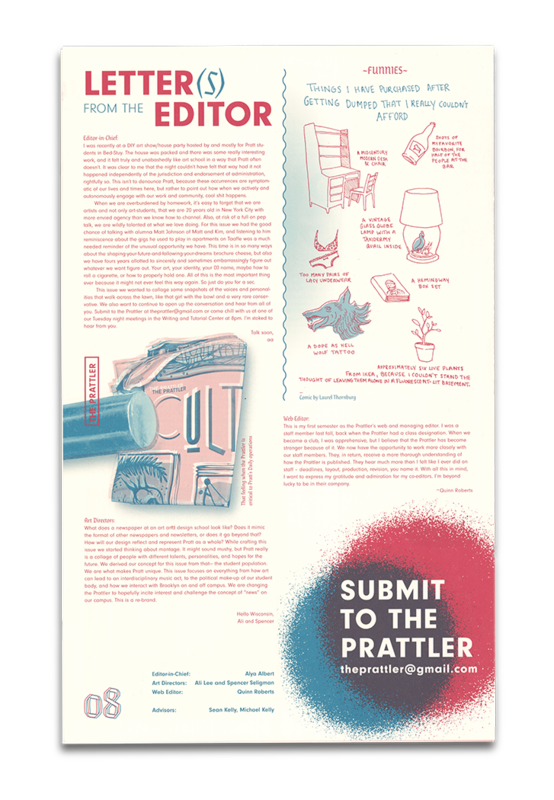 We conceptualized the Prattler, in relative positioning to other campus publications, as a collage of student voice's and opinions, conveying that perspective through an eclectic take on the "newspaper" format. 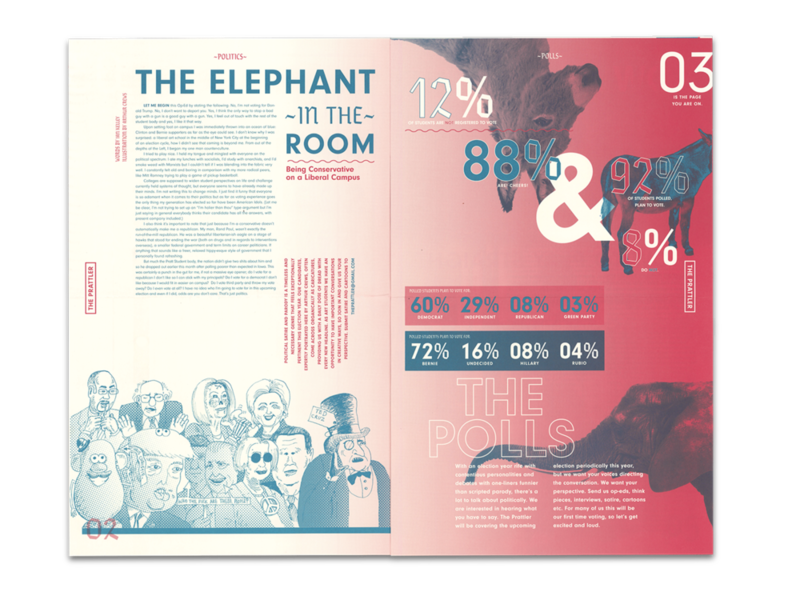 As art directors, we not only designed the spreads and commissioned and freelance contributions, but we organized and ran the entire production process from working with the editor and writing staff through production with a New Jersey based off-set press and distribution. We worked with three editors, four advisors, and rotating staff of writers such that we became the creative thread that held the paper together. 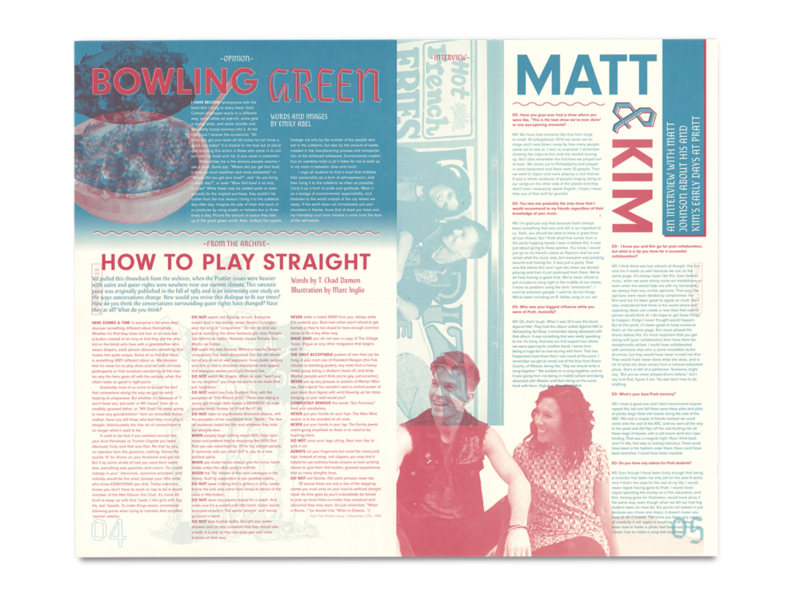 The experience taught me just as much about editorial design and production as it did about leadership and team management.